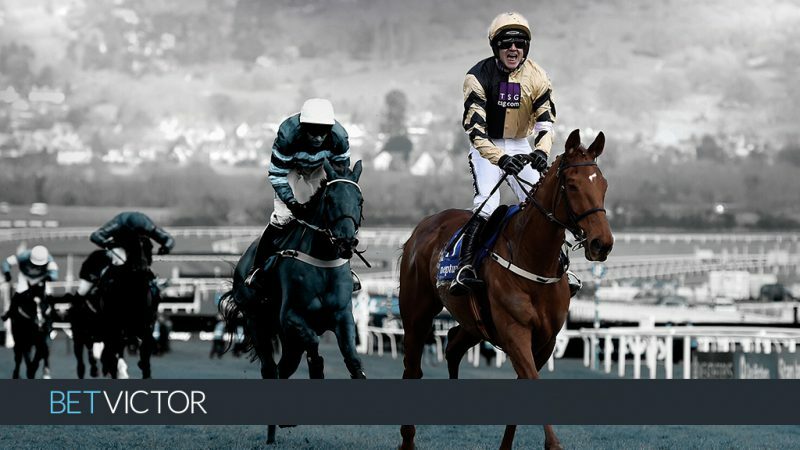 The Scottish Grand National from Ayr is the weekend racing highlight and 28 will go to post for one of the most valuable and prestigious races on the calendar. The last home trained winner was Merigo back in 2010, but Big River (10/1 with BetVictor) represents Scotland’s own Lucinda Russell who won the Grand National back in 2017 with One For Arthur. Note the latter returned to form when finishing sixth back at Aintree behind the wonderful Tiger Roll last weekend. My two each way recommendations against the field are last year’s fourth Doing Fine (25/1 at BetVictor) and Crosspark (3.35) with marginal preference for the latter – 14/1 at BetVictor – who was last seen winning the Eider Chase at Newcastle from a 7lbs lower mark. Note BetVictor are betting each way five places on the race. Tiger Roll’s brilliant Irish trainer Gordon Elliot does not have a runner in the National, but he is a regular visitor to Ayr and Veinard (1.25) gets the each way vote in the opener despite a 5lbs rise for scoring over today’s C&D back in February. The selection’s winning form is with a bit of cut in the ground, but he carries just 10st 3lbs and Sean Bowen is a good jockey booking. At 10/1 with BetVictor I think he can run a big race. Fifteen go to post for the Scottish Champion Hurdle with Nicky Henderson saddling the first three in the weights including top-weight Verdana Blue who will find underfoot conditions more suitable today than was the case at Cheltenham when the mare finished a well-beaten fifth in the Champion Hurdle. Irish Roe was only beaten 5L in the corresponding race 12 months ago from a 6lbs higher mark, but she has been well below her best of late. A wind operation didn’t make a big difference when disappointing at Kelso last time, but she is very well treated on her best form and she may be overpriced at 25/1 with BetVictor. The each way vote, however, goes to Alan King’s Redicean (2.25) who has not yet fulfilled the promise of his initial Juvenile Hurdle form when he landed the Grade 2 Adonis Hurdle at Kempton on good ground by 7L. The selection is 8/1 with BetVictor who are betting four places on the race. I hope it is a good day for the yard of Alan King as I suggested earlier in the week that I was sweet on the chances of Ballywood (3.00) in the Future Champion Novices’ Chase who I feel will appreciate the step up to 2m 4f for the first time over fences. The selection is 9/4 joint favourite at BetVictor alongside Paul Nicholls’ Secret Investor who I just feel might be better served going right-handed. There is a wonderful flat card at Newbury and in the Fillies’ Classic trial the Fred Darling Stakes. Dancing Vega (2.10) won her sole start as a juvenile over a mile at Doncaster back in October and she is entered in the Oaks as well as the 1000 Guineas for which she is quoted at 12/1 with BetVictor. Ralph Beckett’s unbeaten filly is 3/1 at BetVictor for today’s Gp 3 contest. The colts’ Classic Trial is the Greenham Stakes and I am going to give Richard Hannon’s Boitron (2.40) another chance after the selection lost his unbeaten record when 4th at Longchamp in Group 1 company on Arc weekend. The colt has had his wind operated in the interim period and is unbeaten in two starts at Newbury. The Spring Cup is a typically tricky puzzle to solve with 27-runners over the straight mile. My two against the field are Ripp Orf (10/1 with BetVictor) and Ibraz (3.15) with marginal preference for the latter who is 8/1 with BetVictor who are paying each way five places on the race. The selection has yet to prove he is as effective on ground slowed than good to soft, but he is a lightly-raced 4-year-old who I feel is open to further improvement this season. At Thirsk King’s Advice (3.40) can transfer his excellent recent all-weather form back to turf for Mark Johnston. The selection is a 5-year-old entire son of Frankel who has won all three starts since joining the Middleham handler and did win on turf back in Germany.